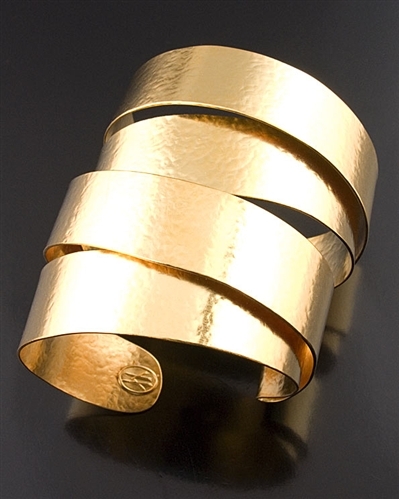 24k gold Vermeil cuff bracelet by Herve Van Der Straeten. 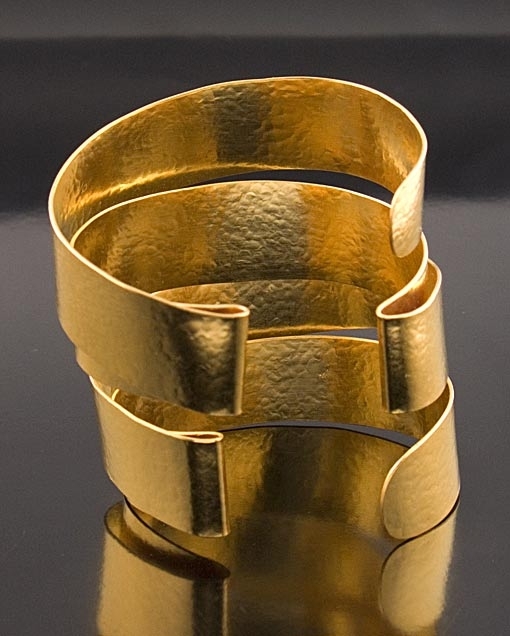 This stunning designer bracelet has a unique design and is made by a single piece of metal. Bracelet measures 7cm height and 6.5cm in diameter. A striking piece that will add glamour to any outfit. Also makes a perfect gift.